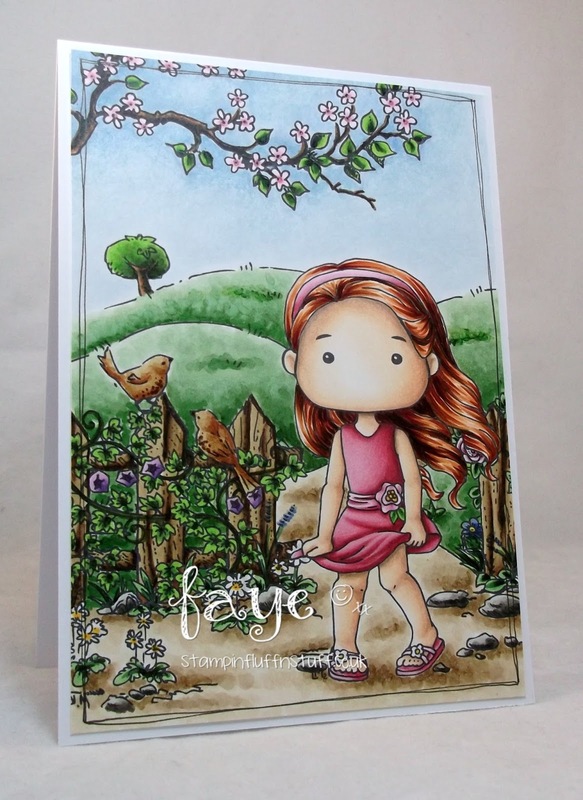 As soon as I saw Vicktoria, from Little Miss Muffet Stamps, I knew she had to go in a scene. I could feel the breeze in her hair. I've chosen Rosey Walk from Make it Crafty and I think they work! Little Red Wagon - Sssssssh! Unbelievable Faye. You are incredible. This scene is beyond amazing. I love your style! I enjoy your coloring so much! Thank you for sharing Faye! You have such incredible talent. Wow. Wow. This is simply amazing. I'm almost stunned at the beauty of this piece. Wow. Thank you so much for sharing! I'm speechless Faye...what an eye for detail! just stunning ! Love your colouring on this ! So beautiful Faye! Great shading! This is gorgeous, such a sweet image and beautiful background scene. Your colour is amazing. gorgeous! love the haircolors, gonna try it someday! beautiful!! Really gorgeous, what a fantastic scene you've created! Ah, Faye, this is just gorgeous! 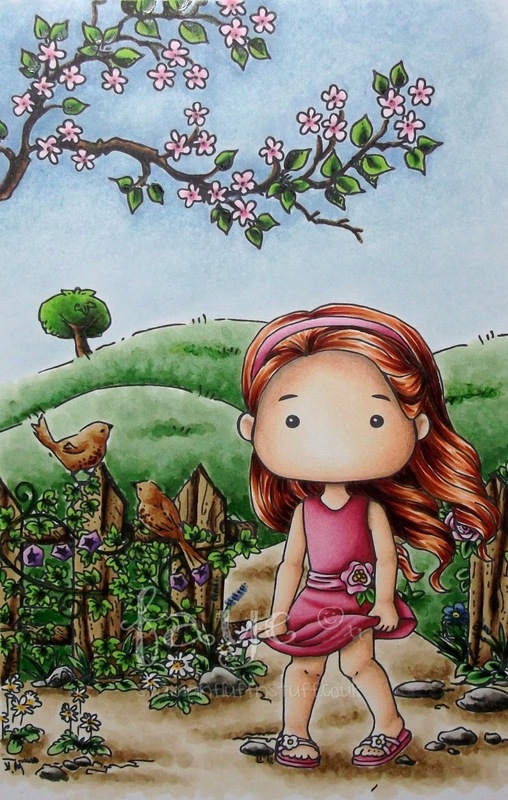 Your colouring is amaze-balls and the doodling is wonderful - as always! Thanks for joining us at Little Red Wagon. My jaw dropped when I saw this on FB! Your colouring is absolutely outstanding - such a beautiful card.